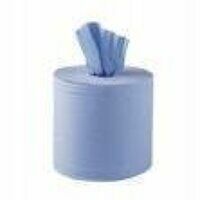 View 2 ply centre feed blue roll at Bearingboys. It is ideal for spillages and cleaning. Next day delivery is available if ordered before 4.00pm.